The Amigo Bravo 12 100g Turnout Rug is ideal for spring and autumn when a little warmth is required to keep the cold away. This Amigo Bravo 12 rug is incredibly versatile as it is compatible with the Horseware liner system that enables liners of 100g, 200g, 300g or 400g to be used within the rug to alter the thickness in accordance with the weather and time of year. 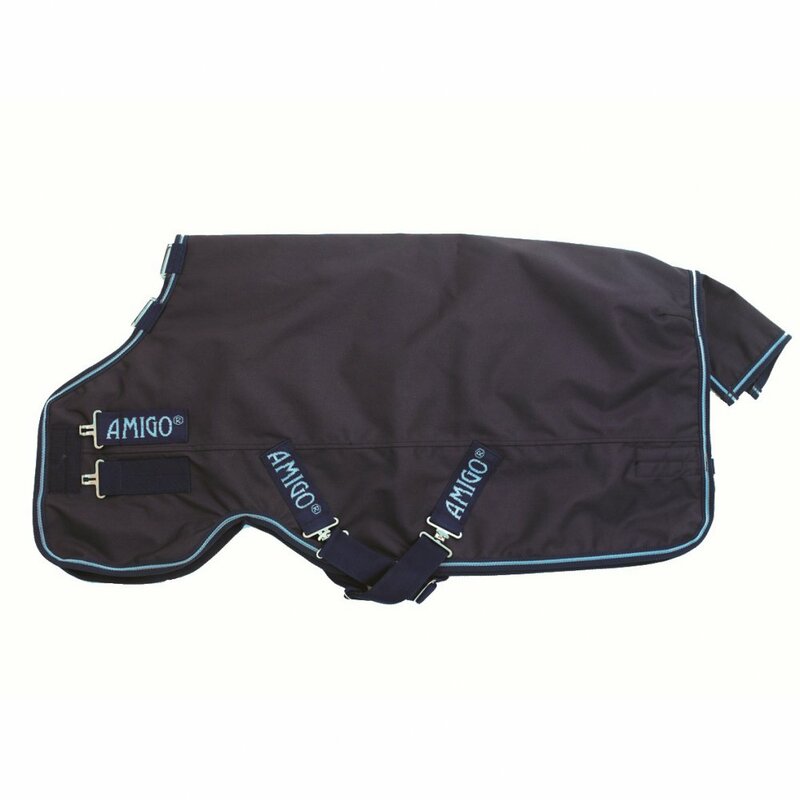 There is also a hood available to purchase seperately that attaches on to this turnout rug protecting the neck and giving a full neck turnout. This Amigo turnout rug forms part of the Bravo 12 collection and therefore is made from a 1200 denier polyester outer making it tougher and more hard wearing. The Bravo 12 100g turnout rug also has a full polyester lining and is shaped using the original Horseware cut with leg arches.